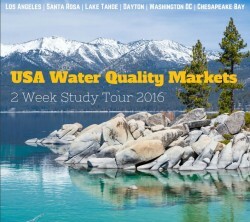 Are you interested in learning from the leading US experts in water quality trading*? Are you keen on making strong connections with other Australian water professionals? Then you might want to take advantage of a unique study tour opportunity organised by RMCG in partnership with Kieser and Associates. For more information, check out the study tour brochure! * If you are unsure about what 'water quality trading' involves, check out the section 'What is Water Quality Trading?' in this paper.